Jaguar unveiled the I-Pace EV at the Los Angeles auto show. 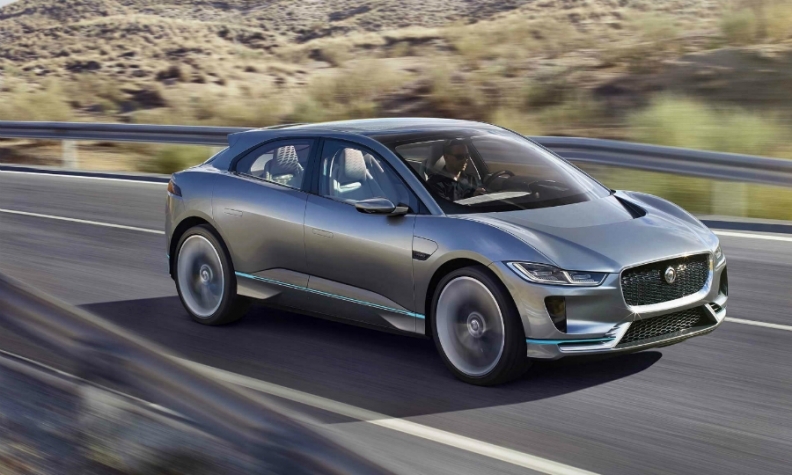 LONDON -- Jaguar Land Rover said it wants to build electric cars in the UK in what would be a further boost to the British automotive sector after the Brexit vote. The British carmaker previewed its first full-electric car, the I-Pace SUV, at the Los Angeles auto show this month. The automaker, which built just under a third of Britain's 1.6 million cars last year, has said the I-Pace will be built by Magna Steyr in Austria. But CEO Ralf Speth suggested that the Tata Motors-owned automaker, which operates three car plants in central and northern England, could bring further production to the UK. "We want to build our EVs in the West Midlands, in the home of our design and engineering," Speth told an industry meeting on Thursday evening according to a spokeswoman. JLR has told the British government that it could create 10,000 jobs in its home region but it will require big improvements in local infrastructure, including an extra 12 to 15 gigawatts of electricity per year, extra land for development and "the right legislative framework," the Financial Times reported on Monday. Speth told Reuters in September it made sense to build electric batteries and cars in its home market if the conditions, including pilot testing and support from science, were right. The UK announced an extra 390 million pounds ($485 million) of funding to support autonomous and green technologies earlier this week, following on a number of proposals designed to promote the country as a hub for innovation over recent years. Jaguar Land Rover said it would not comment on when electric cars would be built in the UK or on potential job creation. Any new production would be seen as a further boost to the automotive sector after Nissan Motor said it would build two new models at the country's biggest car plant in Sunderland, England, following a promise of government support. After Nissan sought a promise of compensation in the event of Brexit-imposed costs to its car production, Speth told Reuters that his firm wanted "fair treatment" and a "level playing field" from the government. Jaguar Land Rover has said it wants half its cars to be available in an electric version by the end of the decade.